Rita Kierce understands the financial difficulties associated with cancer having been diagnosed with mouth cancer 25 years ago and since then she has had to deal with a multitude of expensive medical bills on an annual basis. Rita has undergone extensive medical treatment since 1989, which included comprehensive dental work. Ahead of the budget the Kilnaboy woman said she believes the government should do more to help families who are struggling financially. New figures from the Irish Cancer Society confirmed in recent days that the average spend per month for cancer patients with a medical card or private health insurance was €862, while those who cannot work, work less or lose income as a result of having cancer face an income drop averaging €1,400 a month or €16,750 per year. Speaking to The Clare Champion Rita, who is an accomplished runner and previously represented the Irish cross-country team, said as a result of her treatment, she is still undergoing an abundance of dental treatment. During the past four years the 55 year-old has had to have numerous fillings, crowns, and root canal procedures at “significant cost”. “Little by little I’ve been able to get all the work done from the root canal treatment to the fillings down through the years. You just couldn’t afford to do it all together,” Rita noted. The mother of two never smoke or drank but when she was pregnant in 1989 with her second daughter, Emer a number of symptoms came to the fore. Rita was subsequently diagnosed with mouth cancer and she had to undergo a plethora of procedures which culminated in the removal of three-quarters of her tongue. At just eight months Rita’s baby was induced so that she could commence her intensive treatment programme, which resulted in the removal of three-quarters of her tongue. A skin graft procedure was then necessary to fill the sizable gap in her tongue and a portion of skin from her arm was used for this purpose. “There was only a finger’s width of my tongue left,” she said. Nowadays there are a number of centres of excellence dotted around the country where patients can avail of treatment, but in 1989 Rita said the frequent trips to Dublin were necessary, while she was receiving treatment. 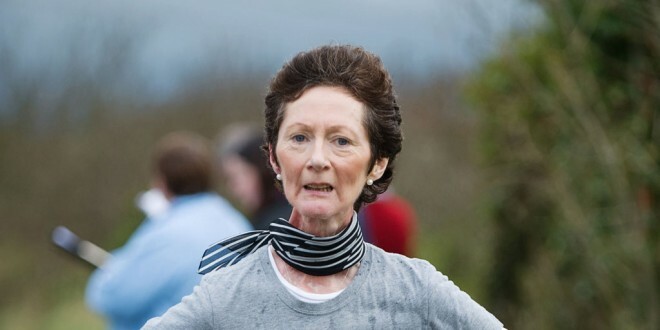 In 1991 Rita was given just months to live but she credits the surgery she underwent at the Mater Hospital in Dublin as being instrumental in saving her life. Rita said the recovery rate from mouth cancer is “quite successful”, however she is still receiving ongoing treatment today as she has done for the last 25 years. She said “little by little” she was able to get the treatment she needed. Speaking about the financial impact on families who are dealing with cancer Rita said it is a shame there are not more supports for hard-pressed families. Her treatment plan nowadays includes “preservation work” on her teeth and special dental work once every three weeks in Dublin while she also has to spend money on special gels and lotions. During the intervening years Rita also had to regularly travel to Limerick to see her dentist Rob Wallace in Limerick, however, he has recently been transferred to a dental clinic in Ennis. The athletics enthusiast, who recently won gold medals for running, said while there are a lot of support groups now there was a lack of similar groups in the eighties. Rita said she has made a full recovery and she has no doubt her love of running played a part in helping her recovery. She said during the most difficult days of her illness athletics helped her rehabilitation process and helped her to deal with the stress of battling cancer. According to the Irish Cancer Society figures cancer patients in Munster have to travel the furthest for treatment at an average of 70km, while travel costs from the province came to an average of €168 a month. In Dublin the monthly bill for travel costs was considerably lower at €117, while people living in rural areas travelled just under 60km on average in comparison to people in urban areas who travelled just 28km on average.